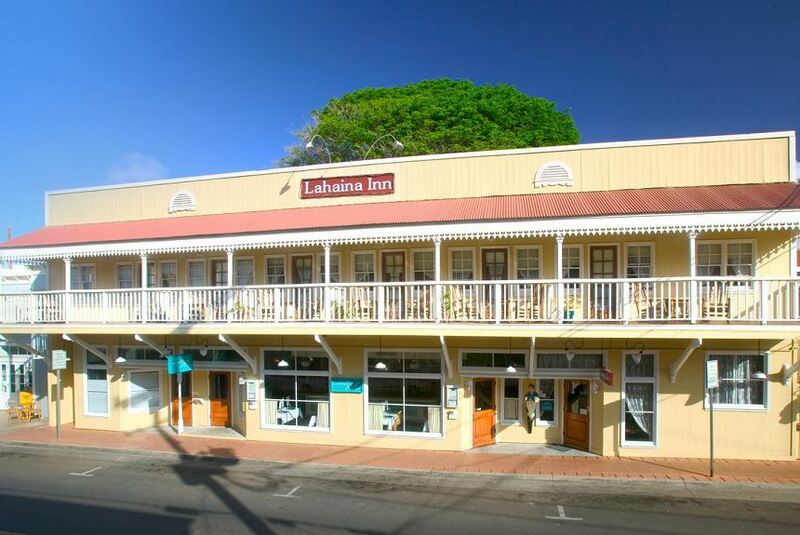 Lahaina Inn is located within walking distance of the waterfront on Maui's west side in the heart of Lahaina town, the Inn is approximately 24 miles (40 minutes) northwest of Kahului Airport and 7 miles (15 minutes) south of the West Maui Airport. Lahaina often considered the "Jewel in the Crown of Maui" is the island's second most visited spot after the beaches. Home to many cultures over the centuries, historic Lahaina town is warm and welcoming. Gracious Hawaiian hospitality awaits you at the two-story Lahaina Inn where our friendly and attentive staff will make you feel right at home. Additionally, Lahaina Inn guests are welcome to spend time at the Royal Lahaina Resort, the Inn's sister property, located three miles north along a half-mile stretch of famed Kaanapali Beach. Here you can enjoy full guest privileges including free Hawaiian entertainment, shuffleboard, bocce ball, tennis, three swimming pools, access to the beach and beach rentals, one restaurant and two bars.